Hearing aids have tiny operating elements, and it’s not uncommon over time for a hearing aid to wish a repair in hearing aid repair shops labs in Pune . Might you will try and flip the hearing aid on within the morning and realize that there’s no sound; the battery door may return demented. These situations do happen, even once the hearing aids are properly cared for you. If you must expertise a difficulty that desires hearing aid repair, take the hearing aid(s) to your hearing care skilled. They’re equipped to diagnose broken hearing aids. Some minor hearing aid repairs are often wiped out the workplace setting in a very short amount of time; others can have to be compelled to be sent to the manufacturer for hearing aid repair. Your hearing skilled will facilitate verify what quite a repair is important if you’re feeling your hearing aid isn’t operating properly. If you’re a current patient and have hearing aids that weren’t slot in our workplace, we tend to are happy to undertake to repair your hearing aids. We tend to are ready to service most major makers Widex, phonak, Sonic, Siemens,Oticon and other brands of hearing aids and might tell you within the workplace if yours could be a whole we tend to service. Hearing aids go with a guaranty once purchased new. If your pledge has invalid, it’s still potential to repair most hearing aids with a tiny low fee. Reckoning on the hearing aid manufacturer, this hearing aid repair might go with a brand new year-long pledge. Your hearing skilled Audiologist can give you with details after you take your hearing aid into the workplace. Free Hearing Aid cleaning program run by the clinic to all members .It is our passion to help everyone hear as well as possible! We are happy to give your hearing aids little extra care and attention. 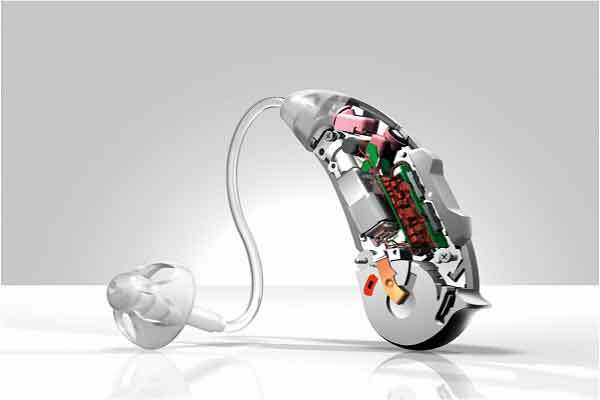 It is add on service from our side to clean your hearing aids. If you purchased your Hearing Aid from Blue Bell Plus Speech And Hearing Care Clinic ,we will service and reprogrammed your devices for as long as you have them ,at no charges. If you did not purchase your hearing aids from Blue Bell , we are still glad to help you with your hearing care needs. You will also receive a free card of batteries, as a thank you for coming to see us. Whether you’re an existing client or just looking for Hearing aid repair service shop in pune, Blue Bell Plus Clinic is here to help!